Our Engraved Glass Wine Stand makes a lovely personalized gift for your favorite wine connoisseur! Using counter balance forces, one bottle of wine floats elegantly while on display. 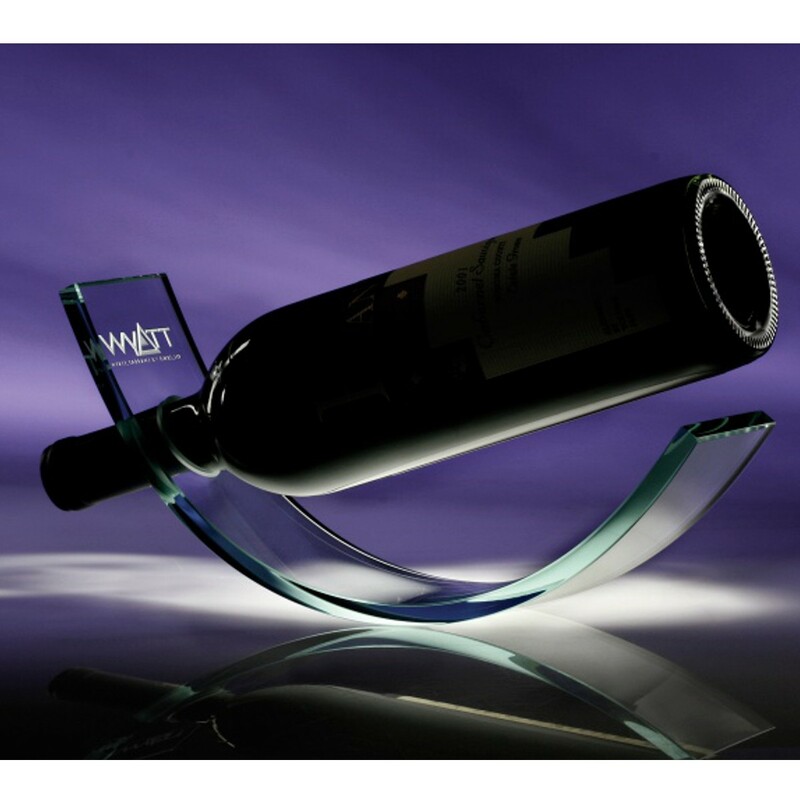 Engraved with your logo or text in frosted white, this clear premium glass wine cradle is sure to impress. Price includes engraving; measures 4" high x 10.75" wide.